NEW CD OUT NOW ON CLEAN FEED. CLICK HERE TO BUY! Danish saxophonist, Julie Kjær joins forces with the english powerhouse rhythm section of Steve Noble and John Edwards. Thank you so much to Koda, Augustinus Fonden, JazzDanmark, Danish Arts Foundation, Danish Musicians Union, Cph. Jazzhouse and Snyk for supporting our recent Japan tour! Without your help we couldn’t have made it work. Our spring tour/dates kicks off on friday at Club Manufaktur in Schorndorf. Concerts in Germany, Switzerland, Japan & UK. See full tour plan here. Buy tickets for Fridays concert here. The lineup for ‘Opposite Music – Denmark meets Japan’ – Copenhagen Jazzhouse exchange with Super Deluxe in Tokyo, has recently been announced. We are very happy that our trio is going to be a part of this great and exciting project. To read more about the project click here. On top of that we’re going to tour Japan for a week. See our calendar for more details. Thanks to Snyk, Cph. Jazzhouse and JazzDenmark! We are very honoured and happy that our trio album has been selected as debut of the year by The New York City Jazz Record amongst other great albums!!! Thanks to Alex Ward & Pedro Costa for all the hard work! New digital release out on OTOROKU – Cafe Oto’s own label. Live recording of our concert at Cafe Oto last year. To buy and download click here. Lovely review of our new album by Stewart Smith in The Wire Magazine July edition. Very happy to announce that our debut cd “Dobbeltgænger” will be released on Clean Feed beginning of March. We will celebrate this with an album launch concert at Cafe Oto on Monday 28th March. 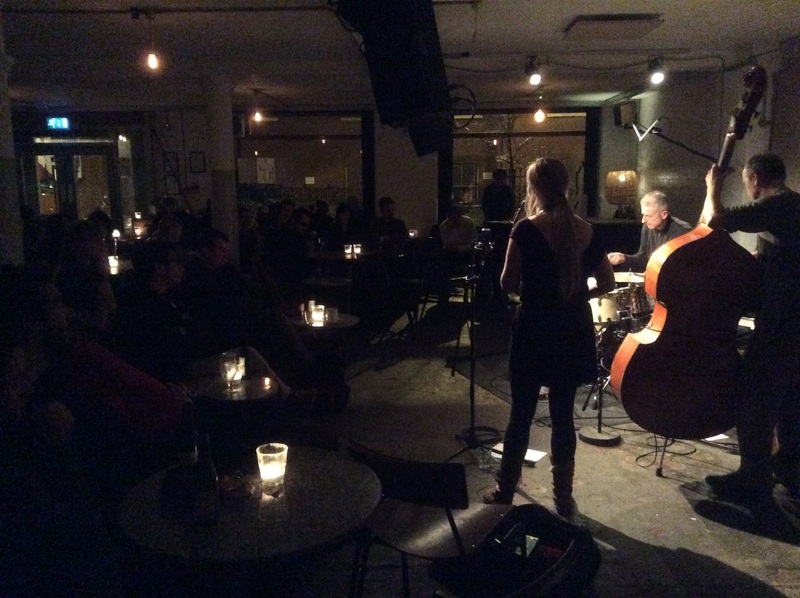 We had a lovely concert at Cafe Oto on Monday followed by a recording the next day. Thanks to everybody who came to the concert. Now looking forward to workinto with the recording. Video recording from our concert at Vortex, 1st July ’14.